Tania is a true native Houstonian, Growing up in the Heights area, she attended Reagan High School now known as Heights High School and the University of Houston. With her knowledge of the Houston market, Tania puts her clients’ interests first when buying or selling a house. 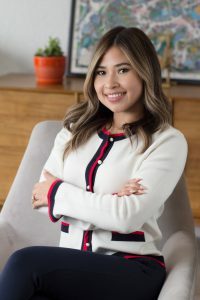 She appreciates Houston’s rich history and culture, specializing in areas near the “inner-loop,” neighborhoods such as The Heights, Independence Heights, North Lindale and Lindale Park. She also has experience in the Montrose, Oak Forest, West University and Memorial neighborhoods. With Spanish being her first language, Tania is fluent in Spanish – Si hablan espanol y prefieren los servicios de un profesional en bienes raices que te represente en espanol para vender tus propiedades o invertir en bienes raices, para tu propia casa o tu propiedad de inversion, no dudes en contactarme. A real estate investor in her own right, Tania provides valuable knowledge of the process of buying and selling Houston investment property. She has attended foreclosure auctions and assisted clients in purchasing short sale and income property as well as consulted on renovation projects. Tania and her husband live in a Lindale property that they fully renovated, cultivating an extensive understanding of architecture, construction, and renovation, as well as acting as general contractor for multiple projects. She is well-informed on construction, local suppliers and resources, estimated costs, landscaping, and interior design.